Post-16 education and training across the Sheffield city region is under review as the Government begins a restructuring of the further education sector leading to "fewer, larger, more resilient and efficient providers." The Government believes that substantial change is required to deliver its education objectives while maintaining tight fiscal discipline. In addition to the expansion of the apprenticeship programme, reform is proposed to ensure there are high quality professional and technical routes to employment, alongside robust academic routes; and that there is a better responsiveness to local employer needs and economic priorities. Government commissioners have identified that "there is significant scope for greater efficiency in the sector, in a way that frees up resources to deliver high quality education and training which supports economic growth." A series of area based reviews of provision are to be carried out with the Sheffield city region one of the first three areas. Each review will start by assessing the economic and educational needs of the area, and the implications for post-16 education and training provision, including school sixth forms, sixth form colleges, further education colleges and independent providers. 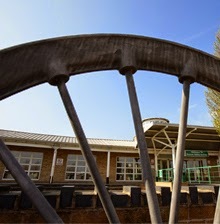 Dearne Valley College, Rotherham College and Thomas Rotherham College are all in the scope of the review that will be led by steering groups consisting of chairs of governors, Local Enterprise Partnerships (LEPs) and local authorities, FE and Sixth Form College Commissioners and Regional Schools Commissioners. The Government said that: "this approach is designed achieve a transition towards fewer, larger, more resilient and efficient providers, and more effective collaboration across institution types. A critical aspect will be to create greater specialisation, with the establishment of institutions that are genuine centres of expertise, able to support sustained progression in professional and technical disciplines, alongside excellence in other fundamental areas – such as English and maths." It is then expected that Governtment's funding agencies and LEPs will only fund institutions that have taken action to ensure they can provide a good quality offer to learners and employers, which is financially sustainable for the long term. Rotherham College of Arts and Technology and North Nottinghamshire College announced merger plans last month having identified falling numbers of 16–18 year olds, potentially risking the range of courses the colleges can offer, and projected public funding cuts for at least the next three years, potentially reducing capacity.